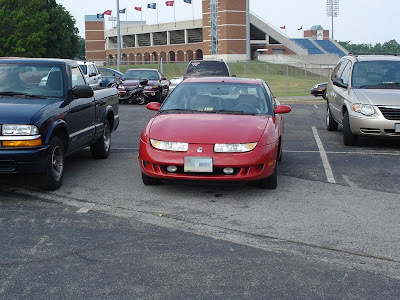 A collection of bad parking jobs rated from 1 being the best of the worst to 10 being the worst, and their location! Updated once every whenever I feel like it. when I opened up photoshop to blur the license plate and crop this image, I realized this isn't really that bad of a parking job, just a little crooked. It's still slightly annoying though, and driver of said vehicle could of done a better job, so I'm posting it anyway. Did you find this site interesting and/or funny at all?